William Nelson (1857-?) was an immigrant from Denmark, and his iron foundry was located at 1023 Washington Ave., the Bronx, approximately 1900 to 1906. He appears in New York city directories during the period 1896 to 1917. Census reports include a longer period, 1900 through 1925. In 1900 he lived at 2459 Washington Avenue, the Bronx. He was 42 years old, born in Denmark November 1875, immigrated 1884. From 1910 through 1920 this address became 1461 Washington Avenue, and his occupation went from "iron worker," to "builder contractor," to "none." In 1925 he was 65 years old, and lived at 59 28th Street, Astoria, Queens. The New York Times, 7 May 1910, pg. 16, reported on loans to the "William Nelson Land & Improvement Co." An entry in Trow's 1911 New York City Directory read, "William Nelson Land & Improvement Co., 915 Brook Ave." with William Nelson, 2461 Washington Ave., as secretary of the corporation. Apparently around this time Nelson had retired from the iron/builder business and had entered real estate development. 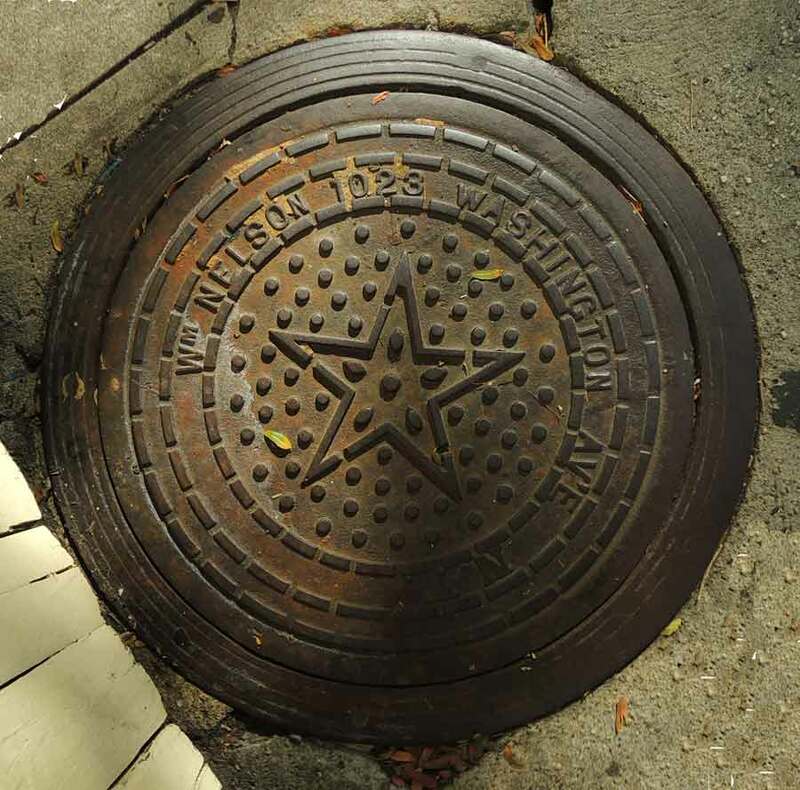 There are several other William Nelson coal chute covers in New York. For instance, this one on College Ave., the Bronx, where the name Nelson cannot be read, and this one on Jackson Ave., the Bronx, where the name is W. Nelson.